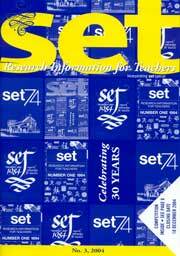 This issue marks the end of our celebration of thirty years of set: Research Information for Teachers. We finish the year with a bumper issue: two bonus articles and a competition with NZCER published tests and books as prizes (see pps. 6 and 34). There are two feature sections this time. We continue the theme of inclusive education from the last issue and there are also three articles on leadership.